Learn how to make homemade Shake and Bake- it’s simple to make, healthier than store bought and save money too! And of course, it’s delicious too. 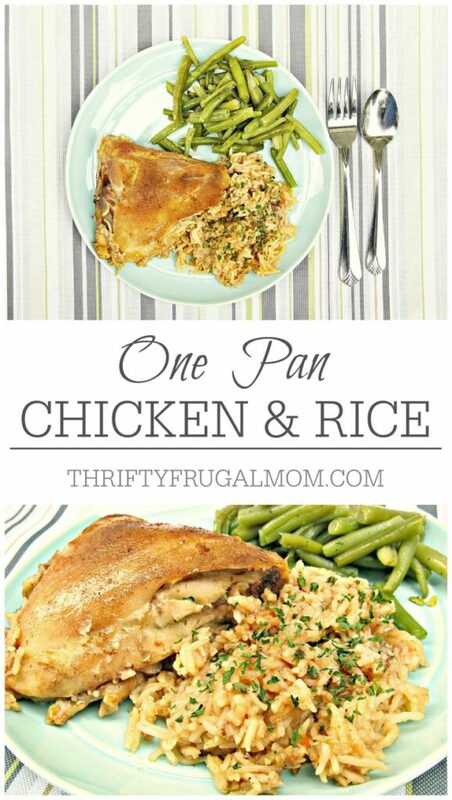 It’s the perfect thing to use for your next batch of chicken! The last several years, I’ve been slowly working at trying to eliminate most processed type foods from my kitchen. I love the convenience that they provide, but don’t appreciate all the funky, unhealthy ingredients that are found in most of them- ingredients that I’d never find in my own kitchen. The great thing is, I’ve been able to make a lot of my own homemade substitutes quite easily- hings like Homemade “Bisquick” Mix, Homemade Cream Soup, Homemade Chocolate Syrup, Homemade Refried Beans, Easy Homemade Healthier Alfredo, Homemade “Cool Whip”, Homemade Yogurt and more! And not only is it much healthier, most of the time it’s much cheaper too! My latest experiment was to figure out how to make Shake and Bake. I love the crunchy flavor and the simplicity that Shake and Bake gives to making delicious meat. And this homemade version doesn’t disappoint! It’s inexpensive, made with simple, healthy ingredients and is so easy to throw together that you honestly could probably have it made in the amount of time that it takes you to find the bought version on the shelf at your grocery store! What’s not to love? 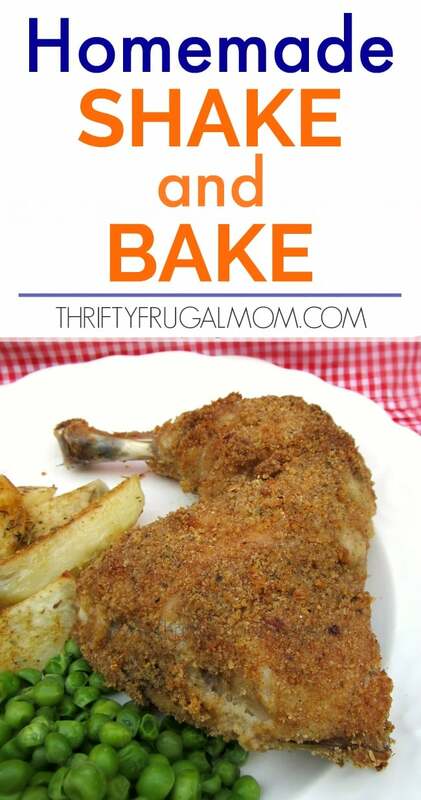 My favorite way to use homemade Shake and Bake is to make Shake and Bake chicken and I give you those instructions below. Of course you could also make Shake and Bake Pork Chops using these crumbs as well. The process would be similar, you’d just need to adjust the baking time to work for pork chops. At any rate, either way, if you love Shake and Bake, I’m pretty sure you’ll love this homemade version! This homemade shake and bake is easy to make, healthier than store bought and inexpensive too! And it make the best chicken! Rub cut-up chicken with oil or melted butter, then roll in crumbs. Bake covered at 400 degrees for 30 minutes, then uncovered for 30 minutes or until done. * Once when I was out of poultry seasoning I just upped the season salt and that was really good too. --This makes enough for 1 whole chicken (cut up) or 8 whole legs (thighs and legs). If using a smaller amount of chicken, just pour a small amount of Homemade Shake and Bake into a bowl and store any unused portion in an air container to use another time. Lydia, This recipe appeals to me so much. Love that your recipe does not include oil mixed in with the crumbs. I prefer having the breading separate from the oil or butter. Thanks for this great recipe. Thanks Lydia for a recipe that has no unhealthy chemicals or preservatives! Going to try it soon!